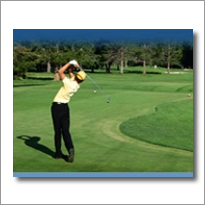 One of America's favorite golf courses, Big Meadow Golf Course has gained many awards over its 30 plus year existence. This straightforward design has a classic mountain course layout. The sculpted fairways draw the eye to the surrounding terrain. Aspen groves and Ponderosa Pine trees frame stunning views of the seven-peaked Cascade Mountain range. The combination of course grooming, spectacular scenery and tee box options (anywhere from 7,000 to 5,480 yards) makes for an unparalleled experience. 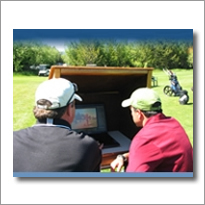 Glaze Meadow Golf Course is nestled amongst the rolling foothills of Oregon's Cascade Mountain range. This beautiful course winds through Aspen groves and gorgeous home sites of Black Butte Ranch. The views of 6,436' Black Butte, once visited by Lewis and Clark, remind visitors of the history and diversity of the area. Staggering mountain views await you during your round of golf while you negotiate this unique Gene "Bunny" Mason design. Glaze Meadow has been a favorite for golfers of all skill levels since its inception in the early 1970's. Part of the charm here is that each hole, individually framed with towering Ponderosa Pine trees, creates the feel of private golf holes for each group. Plan your visit to Bend. Cabins, Homes and Vacation Rentals at Black Butte Ranch in Central Oregon. Whitewater rafting guide to Bend and Central Oregon.